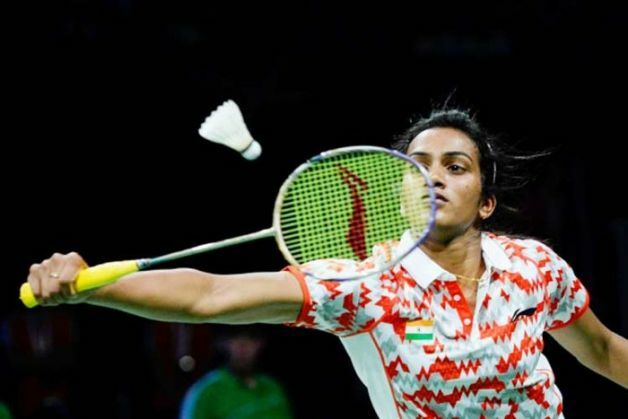 Ace Indian shuttler PV Sindhu remained on course for retaining the women's singles title at the Macau Open Grand Prix, as she battled past Japan's Akane Yamaguchi to reach the final of the tournament on Saturday, 28 November. The two-time bronze medallist at World Championships claimed a 21-8, 15-21, 21-16 over the second seeded Yamaguchi in a thrilling semifinal contest that lasted one hour and three minutes. Sindhu dominated the first game, and raced to a comprehensive lead early on. After claimining the game by a score of 21-8, Yamaguchi, however, fought back to win the second game 21-15. The third and final game proved to be a close one, with both players making few errors. Sindhu, however, showed little nerves as she raced ahead in the final stages and went on to clinch the game 21-16, thereby booking her place in the final. The fifth-seeded Sindhu will face either He Bingjiao or Minatsu Mitani in the summit clash for her third title at Macau.